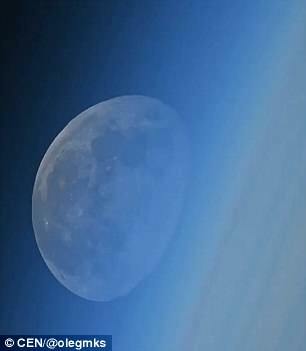 A Russian Cosmonaut has captured an incredible video of the moon seemingly disappearing into thin air against the Earth's atmosphere. 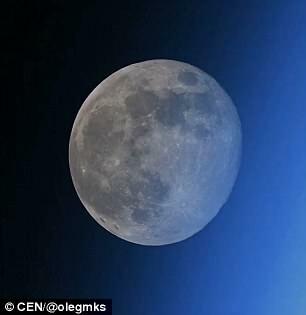 Images show Earth's natural satellite looming close up before it appears to move towards the planet's atmosphere until it shifts out of sight. 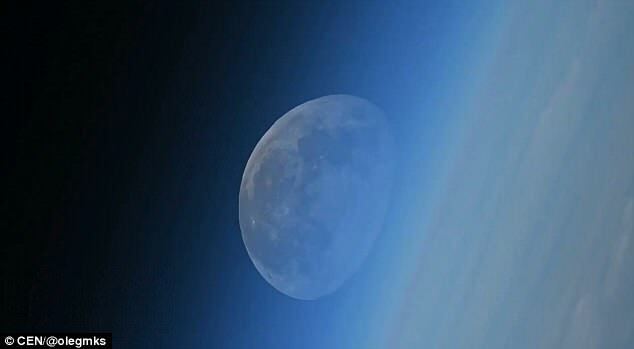 The moonset was filmed by Russian Federal Space Agency cosmonaut Oleg Germanovich Artemyev while orbiting Earth on the International Space Station. 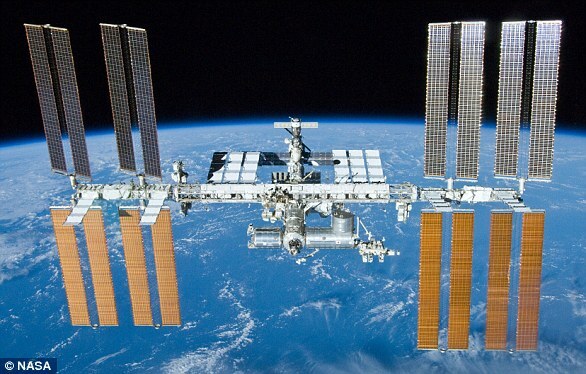 the International Space Station (ISS) - a science laboratory that orbits 250 miles (400km) above Earth. 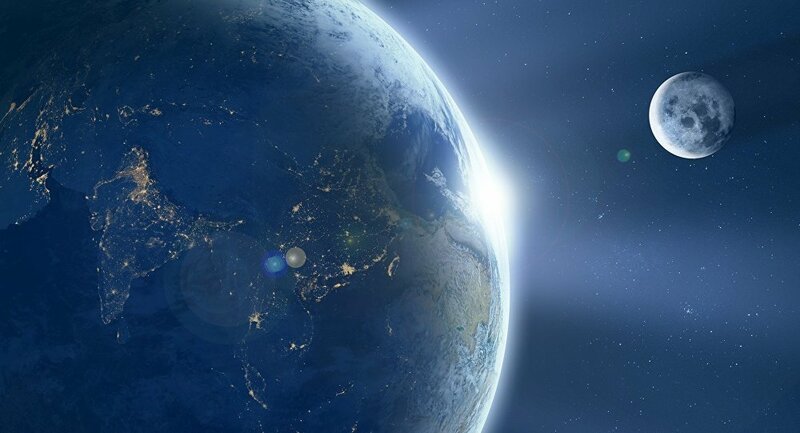 The cosmic events occur when the moon disappears below Earth's horizon while the satellite is viewed from beyond our planet's atmosphere. The ISS travels in orbit at high speed, so the crew sees a series of sunsets, sunrises, moonsets and moonrises each day. Mr Artemyev regularly posts videos to his 200,000 Instagram followers. 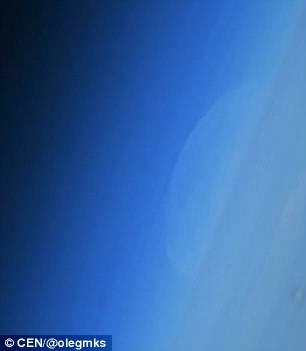 He was enjoying his third expedition to space when he recorded the images, having reached the ISS travelling aboard the Soyuz MS-08 last month. 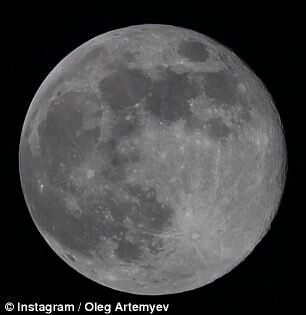 Mr Artemyev, 47, posted the video to Instagram, writing: 'So I tried to make video [sic] of #moonset for the first time.' This special visual effect has wowed social media users. Mr Artemyev was a Flight Engineer of Expedition 39 and 40 to the International Space Station, and in 2018 he returned to space as the Commander of Soyuz MS-08.